Rest and action are two poles of existence. Whatever one is doing, one is either resting or exerting oneself. Exertion complements rest and rest complements exertion as day complements night and night complements day. The reader knows from universal experience, that exercise leads to a deeper sleep and that without resting, one cannot have the energy to act. Therefore, the question of primary importance, as with all pairs of opposites, is the question of balance. The issue of balance between work and rest is epitomized in the difference between the Hebrew and the Greek approaches to time and place. In Homer’s epics, the heroes fight battles and travel on voyages. The direction of activity starts from home and extends outward to the farthest reaches of the Earth. In the case of the ancient Hebrews, their texts describe the conquest of a homeland and its settlement. The direction of activity is inwards. The goal is to return to the pre-fallen state of man wherein man lived in a garden and the point of life was to “settle it and guard it.” The ultimate messianic vision is that “every man would sit under his vine and under his fig tree.” The ultimate goal is to arrive at a state of tranquility wherein movement is unnecessary and time is of no consequence. The goal of technology is to quicken movement, to go faster and farther, in less time and with less effort. Let us take a step back and look at the expectations for modern technology and how it would help us. Calculators were meant to replace slower and more tedious forms of computation. Cars and planes were invented to save the time and effort of lugging baggage and one’s self to various locations. In these respects, technology has succeeded. However, everyone expected that technology would lead to shorter workweeks, but it has not. Ever since Henry Ford came up with the forty-hour work-week, nothing in North America has changed. Instead, technology has become invasive, eliminating the boundaries between work and the rest of one’s life, thereby increasing the length of the work-week to allow it to reach to within one’s private life. Home is no longer a refuge from work and the time in our private lives has decreased. The reason for this failure of technology to save time is that focusing on action will not increase rest. No matter how much one focuses on getting things done, there will always be more to do. In fact, the more one focuses on getting things done, the more things one finds to do! The only solution is to focus on rest. A focused rest is different than a rest that is merely a gap between two activities. Just as it takes focus to be active, it takes focus to properly rest. It also takes an appreciation for rest. We must set aside time to rest, to just be and to not achieve. The key is in setting aside time both for rest and activity; and in this, the Hebrew approach is worthy of emulation. As opposed to the Ancient Greeks, who had no day of rest, the Hebrews set aside a day for focused rest, the Sabbath. This day is not considered a break from the week, but the purpose of the week! On this day one does not merely take time off, but instead actively focuses on creating an atmosphere of rest. Electronic devices are completely forbidden by Orthodox Judaism to be used on the Sabbath. The Sabbath also exists in Christianity, the premier child of both Greek and Hebrew civilization that has inherited practice and ideology from both. In abandoning religion, western society has abandoned its Hebrew heritage to exclusively focus on continuing the Hellenic pursuit of perpetual advancement. Ancient Greece tired itself out and vanished. The Hebrews are still here. Was tranquility the secret for their longevity? Perhaps it was. Perhaps the wise reader would like to entertain the thought of a day without technology once a week — a day of tranquility. Welcome to the Yom Kippur services. If this is your first time, or if you have not been to synagogue too often, no need to worry; many other people in the room are in the same boat.1 Plus, most of the natives are friendly and will be more than happy to help you out. As you enter, make sure that you are appropriately dressed. For women, this means wearing a longish skirt and a conservative top. If you are married, you will want to cover your hair as well. For men, make sure that you have your head covered. Most synagogues have a basket with kippahs at the door. As you look around the room, you will notice that most of the men are wearing a prayer shawl called a tallit (or tallis) draped over their shoulders. In most Ashkenazic communities, we start wearing them only after marriage. 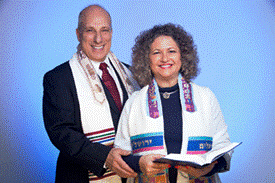 On Yom Kippur we wear our tallit for the entire duration of the services, so now is the right time to put yours on. In all likelihood, the synagogue has a rack with some spares that you can use. You may also notice that many people are wearing white clothing, and some are even wearing a white robe called a kittel. This is because on Yom Kippur we are likened to angels. The angels do not eat, and neither do we. The angels devote themselves to praising G‑d, and so do we. The shroud-like kittel also reminds us that all life on earth comes to an end. If you do not have a kittel, don’t worry. Now that you are all dressed up, you need a book. The Yom Kippur prayerbook—called a machzor—contains all the prayers and Torah readings for the entire day. If you are attending services at Chabad, chances are that the congregation will be using the red-bound machzor published by Kehot Publication Society. It has Hebrew and English texts, Hebrew on the right and the English translation on the left. Pick one up and make your way to your seat. Remember, in traditional Jewish services men and women sit separately. Now that we are sitting, let me tell you what you can expect tonight. For your convenience, I will be pointing out the prayers as they appear in the Chabadmachzor. If you are using another edition, don’t worry; the pages may be different, but most of the prayers are the same. 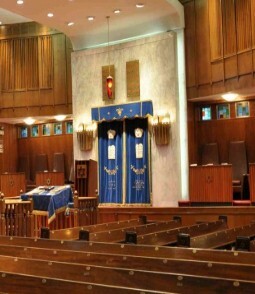 In the front of the sanctuary, you will notice a large cabinet with a curtain draped over the front. Called an ark (or aron hakodesh), it contains the Torah scrolls, which are read during the services. We will be opening and closing it quite a lot during the next 25 hours. It is customary for people to stand whenever the ark is open. However, if you are not feeling up to it, you may sit as long as the Torahs have not been removed. The prayers will be led by the cantor, also known as the chazzan. He will begin and end each paragraph in Hebrew out loud. There will be some parts of the services that only he will say, with everyone else responding as indicated in themachzor. The rabbi will also be speaking from time to time (exactly how much varies). In some congregations, the rabbi will announce the pages. In others, there will be a board with page numbers that will be updated as we go along. If you are more comfortable in English, do say the prayers in that language. After all, prayer is a conversation between you and G‑d, and you need to know what you are saying. Kol Nidrei (page 35): “Kol Nidrei” means “all vows,” and is a formal declaration stating that any vows that we make unintentionally during the coming year should be considered null and void. The ark in the front of the synagogue is opened, and three Torahs are removed. Three men hold the Torahs near thechazzan, while he repeats the Kol Nidrei prayer three times. In addition to its technical function of ensuring that we do not accidentally break our word, this sacred declaration is also our way of saying that we are coming to Yom Kippur with no strings attached. As we approach this special day, we tell ourselves and G‑d that we regret and distance ourselves from the wrong decisions that we humans inevitably make. The ancient, haunting melody of Kol Nidrei is one of the most memorable parts of the Yom Kippur service. Maariv (page 43): Maariv is the evening prayer, which we recite on a daily basis. However, in honor of Yom Kippur there are several important additions and modifications (and on Friday night we start with special hymns to usher in the Sabbath, page 37). Shema (page 44): As usual, the Maariv service begins with theShema and its accompanying blessings. The Shema, in which we declare G‑d’s unity and our fidelity to Him, is perhaps the most central of all Jewish prayers. The next line, “Baruch shem . . .”(“Blessed be the name . . .”), is normally whispered, because it is a pronouncement so holy that it really belongs to angels. But since today we are like angels, we make a point of saying it out loud for all to hear. Amidah (page 47): The Shema is followed by the silent standing prayer, known as the Amidah. We stand facing the front of the synagogue with our feet together, and say the words quietly, in a whisper that only we can hear. Selichot (page 57): Literally, “forgivenesses,” Selichot is a collection of poetically written prayers asking G‑d to forgive us on this day. The central theme of Selichot is the Thirteen Attributes of Mercy (p. 62), which G‑d shared with Moses at Mount Sinai. We will repeat these attributes dozens of times during the Yom Kippur service. Many of the Selichot are very intricate poetry, with quotations from many parts of the Bible woven together with Midrashic motifs in rhyming verses, often arranged according to the Hebrew alphabet. The Selichot conclude with another round of confessions, but this time we read them together, with the chazzan leading the way. Introductory Hymns (page 115): A selection of Psalms and other praises to G‑d, you can think of these as a “warmup” for the long run ahead. Look out for the words “Hamelech yoshev” (“The King sits,” page 135). The chazzanintroduces these words with an ancient melody, and chants them loudly with a touch of trepidation. Shema (page 141): Like last night, we say the angelic proclamation of “Baruch shem” out loud. Amidah and Chazzan’s Repetition (page 145): Unlike last night, after we say the silent prayer during the daytime, the chazzan will repeat it out loud. Thechazzan’s repetition is peppered with many additions. You will notice that for certain selections, those deemed especially powerful, we open the ark. Many of the additions are meant to be said responsively, as a joint effort between thechazzan and the congregation. Last night, following the prayers, we said Selichot. During the day, the Selichot are incorporated into the chazzan’s repetition of the Amidah. Thus, our ten-page Amidah triples in size, and lasts from page 156 to page 190. And again, like last night, the Selichot are followed by the Avinu Malkeinu on page 190. Torah Reading (page 198): All stand as two Torah scrolls are removed from the ark and brought to the bimah (raised table) in the middle of the sanctuary to be read. The bulk of the reading (page 202) tells of G‑d’s instructions to Israelon how to conduct the Yom Kippur service in the Holy Temple, where animal sacrifices were the focus of the day’s devotion. During the reading, a series of men are called up to say blessings over the Torah. This honor is known as having an aliyah. When the reading is over, the Torah is hoisted high in the air for all to see. We then take out a second scroll and read another small section of the Torah, where the day’s sacrificial order is mandated. 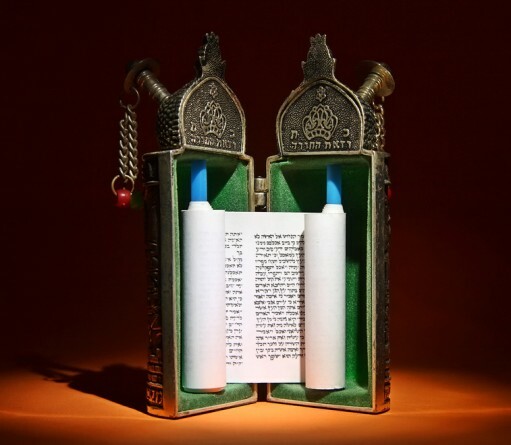 Haftorah (page 207): The Torah reading is followed by the haftorah, a selection from the Prophets. This morning it is a portion of the book of Isaiahwhich discusses returning to G‑d sincerely. Yizkor (page 210): People are exiting the sanctuary, but it is not over yet. Rather, they are leaving because Yizkor is about to begin. Four times a year, a special memorial prayer is recited by those who have lost one or both of their parents. It is customary for all those whose parents are alive to leave the synagogue for the duration of this service. Many congregations also add memorials for the victims of the Holocaust. If you are fortunate enough to be among those who do not stay in for this prayer, do not wander too far, because it lasts only a few minutes. Unetaneh Tokef (page 283) is one of the best-known prayers of the day. It contains the chilling description of G‑d’s decrees for those who will not survive the year: who will perish by “water, who by fire, who by sword, who by hunger . . .” After those sobering pronouncements, we declare loudly (and, as you can imagine, with great sincerity) that teshuvah,tefillah and tzedakah (commonly translated as “repentance,” “prayer” and “charity”) avert the worst decree. Bowing: You will notice that people are getting down on their hands and knees and prostrating themselves on the ground. No, they did not lose anything, and sorry, there are no snacks stashed down there. Rather, we bow down when we read the words “We bend the knee, bow down and offer praise before the Supreme King . . .” on page 245, and a few more during the Avodah. What is the Avodah? Starting from page 246, we begin a blow-by-blow account of what actually took place in the Holy Temple on this day. The central figure in this narrative is the kohen gadol, the high priest, who performs much of the day’s service. This included bringing incense into the Holy of Holies, the inner sanctum, which even he would dare enter but one day a year. Another highlight was the two goats upon which he would draw lots. One goat would be sacrificed on the altar, and the other was sent out to the desert. Where does the bowing come into the picture? Well, in addition to slaughtering and burning the animals, the high priest would also say a confession upon each one. And when he would make that confession he would do so addressing G‑d with His sacred name, the one that no one else ever said. And when people would hear that, they would bow down in deference. When we read about that, we bow as well. The Ten Martyrs (page 266): We just read all about the sacrifices, which have been defunct for the past 2,000 years. But are there truly no more sacrifices? How about the millions of Jews who have been killed throughout the ages simply because they were Jews? Are they not sacrifices? Indeed they are. The description of the Ten Martyrsgraphically depicts the horrific death of ten sages at the hand of an evil king 2,000 years ago. Once again, the repetition of the Amidah is followed by the Al Cheit alphabetical confession, page 275. Priestly Blessing (page 284): Congratulations! You’ve made it through the morning service. As a reward for your endurance, you will now receive a very special blessing. Known as Birkat Kohanim, this blessing can be given only by descendants of Aaron, the high priest. They bless the congregation with prosperity, divine favor and peace, using an ancient formula written in the Torah. You will notice the kohanim exit the synagogue to wash their hands before performing the blessing. During the actual blessing, they cover their upper bodies with their prayer shawls. It’s customary for men to cover their heads with their prayer shawls, and for small children to stand underneath their father’s tallit during the blessing. Nap Time! Now is the time when most synagogues have a break. Get some fresh air and stretch your legs. If you can, take a little nap and build up some energy for the final stretch. Torah Reading (page 304): This reading includes some of the most fundamental laws of the Torah: whom we are allowed to marry according to Jewish law. Judaism is all about action. And even on this most sacred day, when we feel and act like angels, we cannot forget the nuts and bolts of Torah life. Haftorah (page 306): After the Torah is lifted high and set aside, we read thehaftorah: the Book of Jonah. One of the smallest but best-known books of the Bible, the story of Jonah is a great read, complete with a swashbuckling hero who gets swallowed by a fish. Don’t miss it. While it will be chanted in Hebrew, feel free to read it in English. Amidah (page 310): This one follows the same pattern of those before it, as does the (somewhat shorter) repetition (pages 320–342) and the confessions that follow them both. Again, if it is not Shabbat, we say the Avinu Malkeinu. Neilah, literally “closing,” was thus named as it is said in the closing moments of the holy day, as the sun is setting and the gates of heaven are clanging shut. The Rebbe was wont to say that while the gates of heaven are closing, we are on the inside. Right now, each and every one of us is as close to G‑d as we get during our lifetime. Savor the moment, and think deeply into what you have done this past year, and what you want the coming year to look like. This fifth and final Amidah of Yom Kippur (pages 350–357) is smaller than the others, with a truncated confession. The repetition, which begins on page 358, is unique in that the Thirteen Attributes of Mercy are repeated time and time again, as we cling to the last moments of the day when the windows of heaven are open. By now, if you take a peek out the window, you will notice that the sun has set and the stars are peeking through the clouds. At this moment, the apex of our devotion, we all cry out together, “Shema Yisrael . . .”: “Hear O Israel, the L‑rd is our G‑d, the L‑rd is One.” We recite “Baruch Shem . . .” three times, and“Hashem Hu HaElokim” (“The L‑rd is G‑d”) seven times. As you say the words that thousand of Jewish martyrs have uttered before being killed for their steadfast devotion to G‑d and the Torah, imagine yourself literally giving your life for G‑d. Afterward, one long triumphant blast is sounded on the shofar, announcing the end of Yom Kippur. People may be making a mass exit toward the door to hit the break-fast, and if you’re feeling weak, feel free to join them. 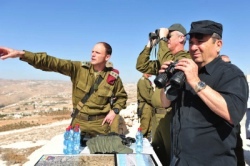 You’ll probably notice that some will remain in the synagogue to pray the evening service (Maariv), which consists of the Shema and its accompanying blessings, and the silent prayer. Afterwards, you will see people going outside to recite Kiddush Levanah, a blessing we say during the first half of each month recognizing the new moon. You did it! You just spent the past 25 hours in total oneness with G‑d. Enjoy your break-fast, and savor this feeling of accomplishment. Many have the custom to start working on their sukkah tonight, in order to go “from one mitzvah to the next.” Whatever you do, don’t let the inspiration of Yom Kippur go to waste. Resolve to do another mitzvah: perhaps you can start putting on tefillin every day, lighting Shabbat candles on Friday night, or attending synagogue services more regularly. Take Yom Kippur and bring it into the rest of your life. 1. Maybe you should worry. But now is not the time. You will have a whole day to feel bad about your misdeeds. For now, just settle into your seat and get into your Yom Kippur groove.